Personal injury law ranges among seemingly countless, specialized situations because, aside from the many ways a human body can get injured, the circumstances for these cases also range widely. However, they all have one basic hallmark in common: negligence. To know whether or not you have a strong case or defenses, you must be able to prove that someone's carelessness resulted directly in the injury or death. Car, truck, bike or motorcycle wrecks. As you know, horrible things can happen on the road. 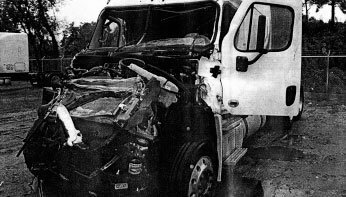 In some cases, companies or business are liable in many ways for collisions caused by their large semi-trucks/18-wheelers. In other cases — if you're on foot or a bicycle, especially — it's important to be wary. Traumatic brain injuries. Traumatic brain injuries can be caused by a fall, a blow to the head, or even severe whiplash. Regardless of how you or your loved one came to get injured, what matters now is getting the medical care you need and getting a good personal injury attorney on your side. In recent years, I have had tremendous success getting my traumatic brain injury clients well compensated for their pain and suffering. Premises liability cases. These claims often include slip and fall cases, in which you get injured on some else's property that should have been properly secured. Chemical exposure cases. People are amazed when they learn what harmful chemicals and products, including asbestos, they have been exposed to, and were never even aware of it. I have handled, successfully, mesothelioma cases involving ships’ officers and crewmembers, as well as crewmembers of commercial vessels where hazardous chemicals were released, and they were exposed. Sadly, this happened to thousands of Gulf Coast residents after the BP Oil Spill in 2010, and they still are dealing with the consequences. Time limits. For the vast majority of personal injury claims, you must file the suit within two years of the injury. If you intend to sue a Texas governmental entity, then you must file a claim with intent to do so within six months of the injury. Shared Fault (comparative negligence) Rules. Texas courts may decide that you must own up to a percentage of the fault for your injury, which will proportionately affect any damages you receive. For instance, if your brake lights are not working during the time of the rear-ender wreck in which you were injured, you may be held to be partially at fault. Damage caps. These limits on your damages apply to medical malpractice cases and to some claims against governmental entities. If you believe we live in a world where justice always reigns supreme, or that drunk driver always penalized to the fullest extent of the law, think again. I can represent and advise you through this process, considering with you the best options available to you. Please call or write to talk to me about a free consultation — because you should not have to pay simply to get the vital information you need now. If you’re struggling following a serious and life-changing injury, and you need help to get the justice and recovery you need and deserve, let’s talk about how to fight for it. Do not let someone else’s negligence sideline what’s important in your life. I can evaluate, represent and advise you while you take the time you need to recover from your injury. Let’s talk about it!